The aim of Stage 5 Dance is for students to experience, understand, value and enjoy dance as an art form through the interrelated study of the performance, composition and appreciation of dance. 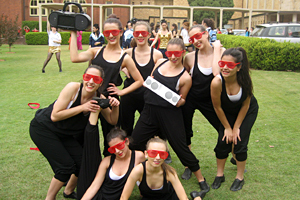 Students who choose this course will have the opportunity to express themselves through dance. Dance performance can be informal or a formal presentation of a classroom sequence, a student composition, a choreographed dance or an excerpt of a dance work of art which is based on the elements of dance. They will learn to perform turns, falls, balance and elevation with increasing control. They perform a range of dances, individually and with others, in a variety of styles (performance/choreographic/theatrical).